This event is sponsored by John B. Herrington, III, M.D. 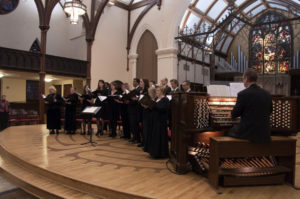 Choir of the Church of the Epiphany, Washington, D.C. 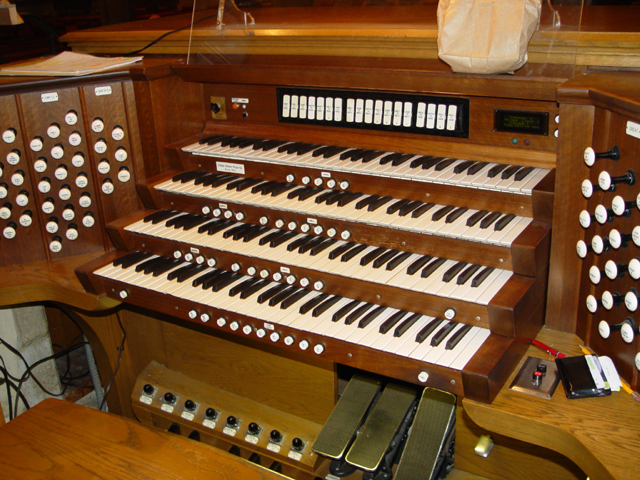 This instrument is a landmark as it was the first modern tracker organ in Virginia and one of the earliest in the U.S. 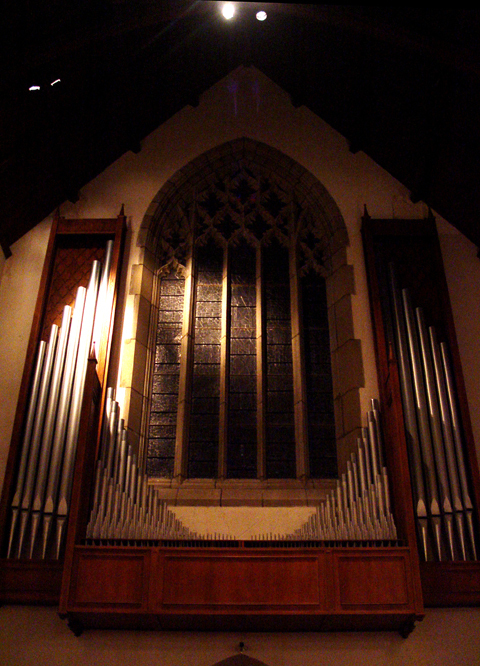 It was also the first pipe organ in the Chapel, where it replaced a Hammond electronic from the 1930s. 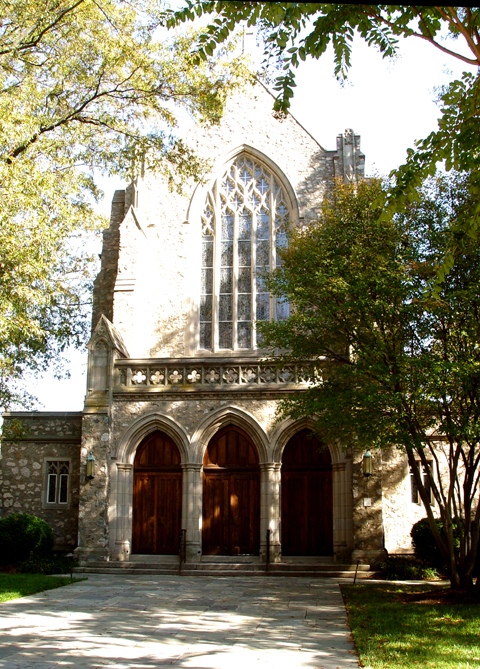 In 1959, the German organ builder Rudolph von Beckerath of Hamburg prepared the drawings, and Music Department Chairman Dr. John White and University President Dr. George Modlin guided negotiations. 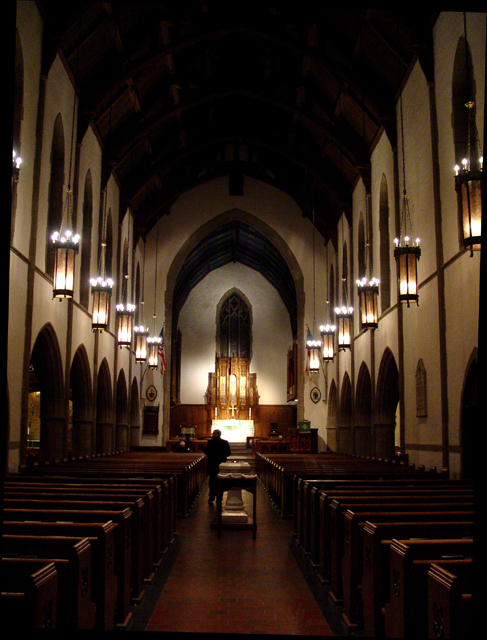 In September of 1961, 36 crates arrived from Germany and were stored in a large tent just outside the Chapel. 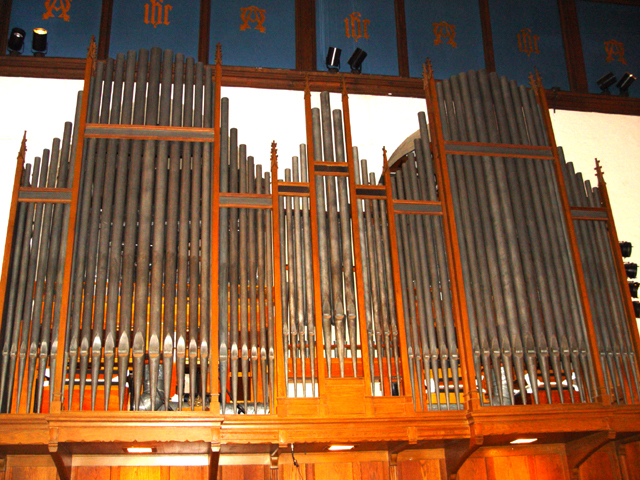 Then in early October, three of von Beckerath’s craftsmen came to campus to install the organ. 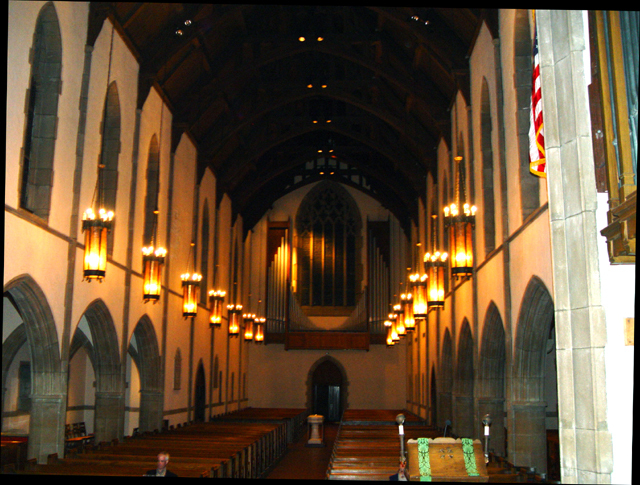 Herr von Beckerath arrived in December to do the final voicing of the pipes, and the organ was finished in January, 1961. It has 41 ranks of pipes made of tin, lead, and wood, the largest measuring 16 feet, the shortest being smaller and thinner than a soda straw. 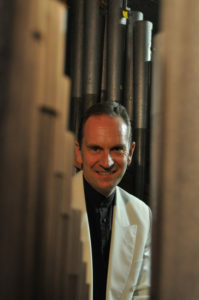 Robert Noehren played the dedicatory organ concert on February 9, 1962. 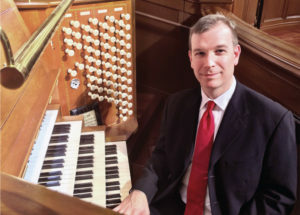 Within a short time, the von Beckerath organ became known to organists in Europe and America as one of the finest Baroque-style organs in the country. 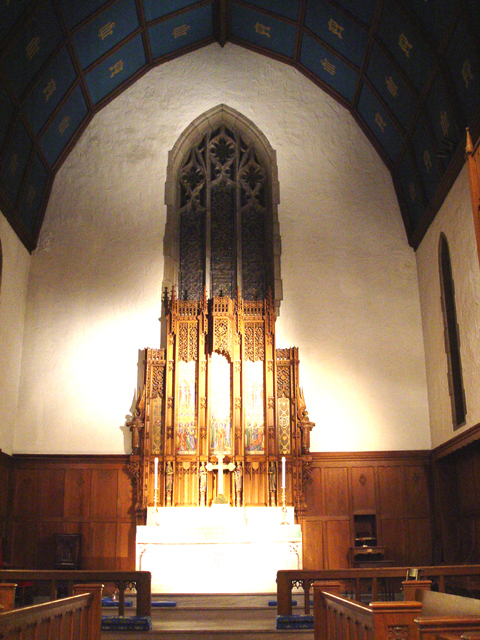 It is included in Joseph Edwin Blanton’s seminal book The Revival of the Organ Case, (Venture Press, Albany, Texas, 1965). 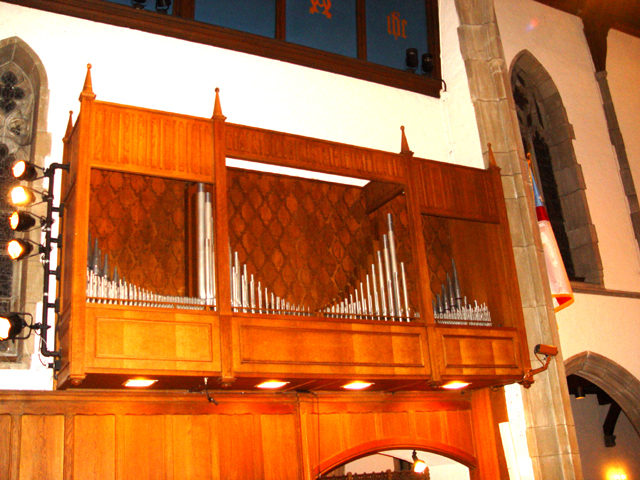 In 2014, a generous gift made it possible for Taylor & Boody Organbuilders to replace the original Bärpfeife 8′ in the Positiv, a problematic stop from the beginning, with a beautiful new Dulzian 8′ constructed especially for this instrument. They also installed a Zimberstern, including two revolving stars in the façade.